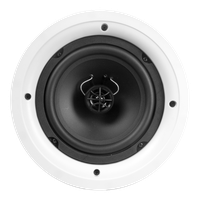 Master case, quantity 6, Shadow Series™, 2-way in-ceiling speaker, Ghost™ style grill, 6.5" injected poly woofer, 0.75" mylar tweeter, 5-75 watts, 8Ω. Sold each. Master case, quantity 4, Shadow Series™, 2-way in-ceiling speaker, Ghost™ style grill, 8" injected poly woofer, 1" mylar tweeter, 5-90 watts, 8Ω. Sold each. 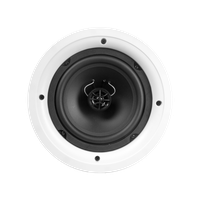 Pallet, quantity 80, Shadow Series™, 2-way in-ceiling speaker, Ghost™ style grill, 8" injected poly woofer, 1" mylar tweeter, 5-90 watts, 8Ω. Sold each.